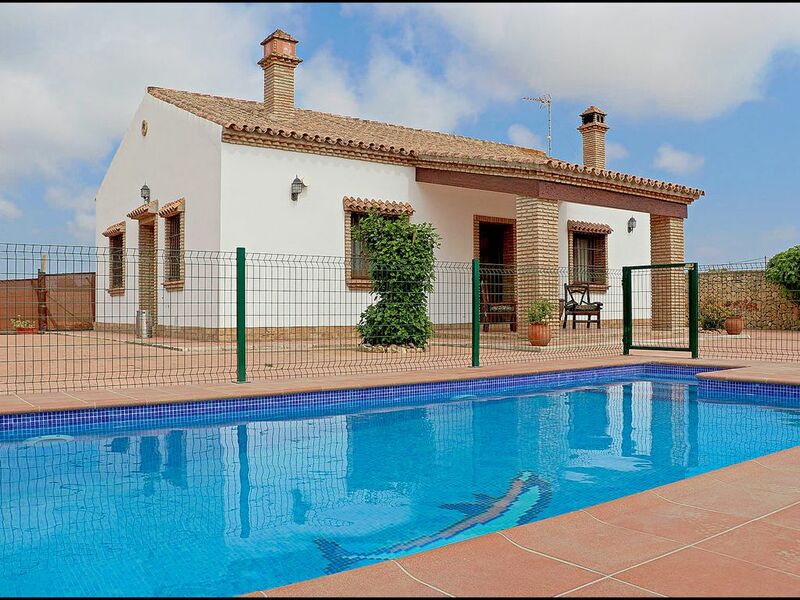 Lovely villa available for holiday rentals in Conil de la Frontera (Cádiz). The maximum capacity is for up to five people. The property is decorate in a rustic style both inside and out, with stone walls. There are three bedrooms, the master bedroom has a double bed, a second has two singles and the third has one single. Upon entering the building you will find the large lounge-diner. The kitchen is fully equipped and has everything that you may need for your stay. The house is also equipped with one bathroom and an additional toilet. Outside is the private pool, which is brand new, the porch with barbecue and a parking area. Located just 15 minutes by car to the centre of Conil and 10 minutes to the coves of Roche. Holiday rentals are as much in demand in Conil year round, as well as the main holiday season, which is from May to October when the town´s population swells, and visitors enjoy the mild climate as well as the lively atmosphere on the streets. There is a great choice of eating places in the area, and in the evenings the streets are full of terraces and bars, or you can watch the sunset from one of the beach bars. You can visit the local monuments or other towns in the province of Cádiz. There is so much to do you are sure to need to make a return visit to fit everything in.